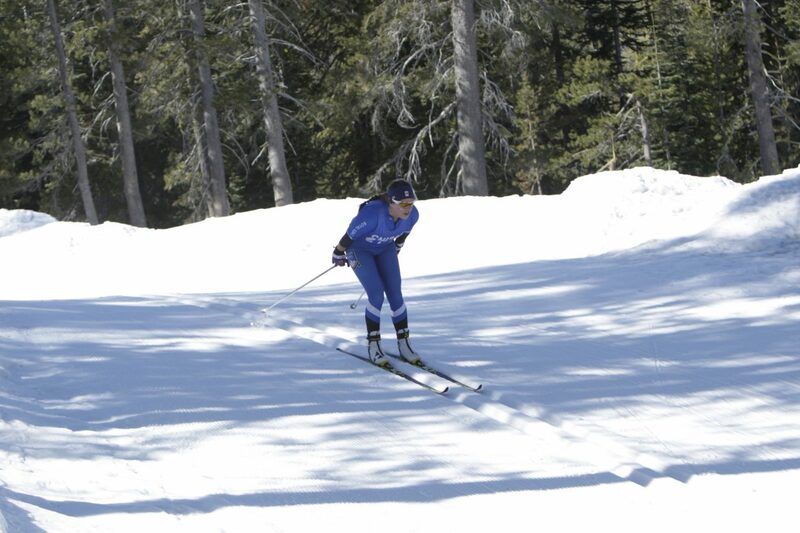 Kianna Mullings captures first place at the CNISSF Nordic state championships at Auburn Ski Club on Friday, Feb. 16. Sugar Bowl Academy skiers outpaced the Nordic field to capture a boys and girls’ sweep of the individual state championships at the California Nevada Interscholastic Ski and Snowboard Federation (CNISSF) Nordic Championships on Friday, Feb. 16, at Auburn Ski Club. Sugar Bowl’s Haydn Halvorsen won the boys’ individual state championship with a first-place time of 19 minutes, 26.00 seconds, while on the girls’ side Sugar Bowl’s Kianna Mullings outpaced the field of skiers to take the state title with a time of 24:20.40. * This post will be updated.